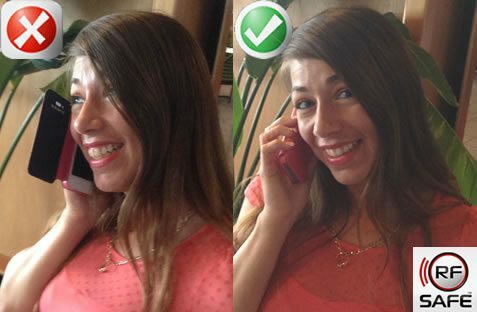 Click here to see video test results proving it’s the world’s best phone radiation shield! 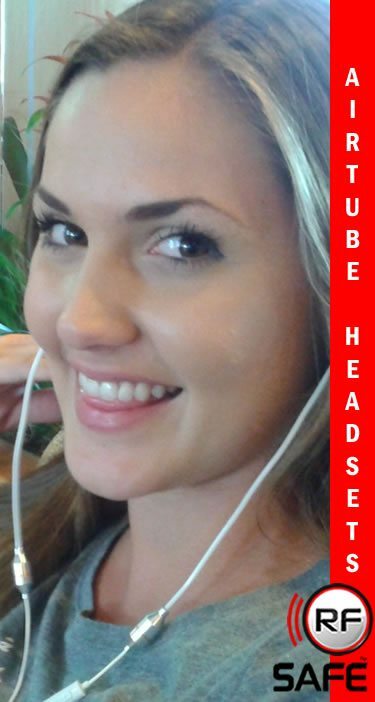 Now you can reduce exposure to cell phone radiation in style! RF Safe’s Samsung Galaxy S6 flip cover case radiation shield discreetly provides layers of RF radiation protection where it is needed the most. This Samsung Galaxy S6 case uses a convenient RF shielded flip cover design. 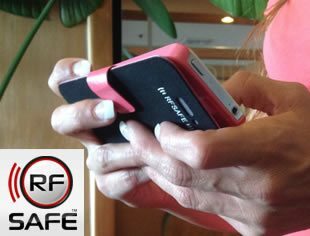 Only RF Safe flip cover case radiation shields rotate to accommodate safely using your phone under most any circumstance. Radiation protection when carried in pocket or purse. 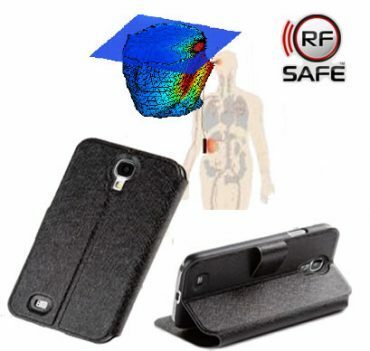 RF safe’s radiation shielded custom fitting smartphone flip case for Samsung Galaxy S6 smartphones provides cell phone users protection where they need it the most. The all new RF Safe Samsung Galaxy S6 case is not just about improving the look of a cell phone or being an essential accessory for protecting the device. RF Safe’s Flip cover case for the Samsung Galaxy S6 protects the most important thing of all, the users health, by reducing the amount of cell phone radiation absorbed in the users head and body. Most materials are transparent to microwave radiation from cell phones and Smartphone devices. Microwave energy is absorbed into a user’s body closest to where the cell phone is being carried or used. When a phone is used with a heads-free device and the phone is carried in your pocket radiant energy is absorbed much faster than at the head because tissues and organs such as liver, kidneys or reproductive organs provide much better conductivity than the skull and simply put most of your body’s major organs have no bone protection like the brain does. The basic requirement of any cell phone radiation shielding is that it is electrically conductive. The Galaxy S6 flip cover is lined with a very thin rubber foam designed to deflect cell phone radiation away from your body. 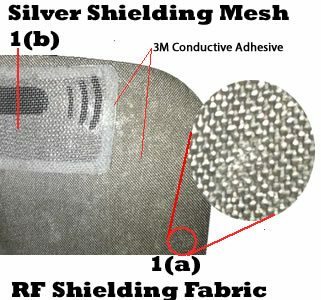 RF Safe’s flip cover cases only incorporate shielding mechanisms which utilize deflection, as absorption (attenuation) is never used to prevent affecting the phones software regulating RF power out-put. It’s only acceptable to use absorption technologies on wires (Ferrite Beads), such as on an air-tube headset that is plugged into a cell phone, but not on the cell phone headset itself. Flip cover case radiation shields deflect Samsung S6 radiation as shown in the illustration. By simply keeping the shielded flip cover between your body and device, no matter if used to your ear, or carried in your pocket – you have the shielding you need covering the entire front of the phone to deflect potentially harmful radiation. 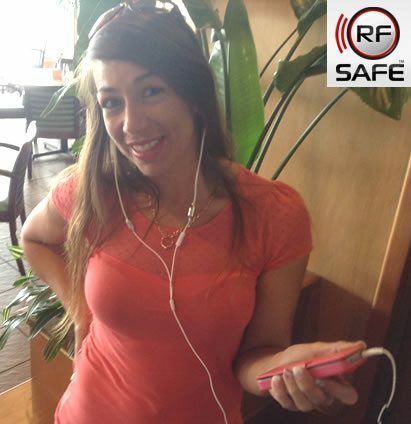 Over a decade of experience in the safest ways to reduce cell phone radiation exposure is only a click or call away!